It was dark outside and a group of friends were in a river playing a game. (In real life these friends aren’t believers.) I raced down a hill towards the river and as I did, translucent words and phrases appeared. They were moving horizontally in the air like ducks in a row. Three columns down, four rows across. Without saying anything, I knew I was the only one that saw them. I ran through the words, one-by-one and as I did, they vanished. I jumped into the river and began floating downstream. While I floated with the current, my friends were trying to swim upstream, getting nowhere. They struggled to remain above the surface as the current tried to take them under. I tried to get them to follow me, but they were focused on going against the current. They didn’t realize the impending danger of alligators coming towards them. I, on the other hand, knew that the alligators posed no threat to me. Since September 2013 I’ve had several dreams with a common theme that underlies God’s will for my life. God's Will and Promise Dream was the first with the principal theme pertaining to becoming a writer and blogger. There are details in dreams that may appear insignificant, but more often than not, they provide a wealth of information when interpreting dreams. It may be colors, emotions, and in this case the order of events and the number of rows and columns were significant to understanding this dream. This is what I consider a God-promise dream. 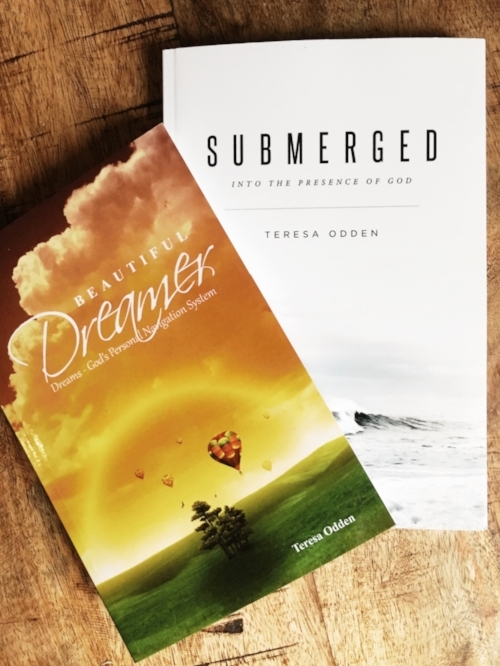 God had already called me to be a writer and this was one dream where God reaffirmed He is equipping me with the necessary tools to fulfill His will. I couldn’t go into the river without going through the “words.” Three columns represent the Trinity (Father, Son, and Holy Spirit). God is in the midst of all things. Four rows represent the four gospels (Matthew, Mark, Luke, and John). Writing is connected to witnessing. The format of the numbers of rows and columns is a matrix, representing that something is linked together. Three columns down and four rows across also symbolize God’s ability to reach people in all directions, near and far, through my writing. It’s the help of the Holy Spirit who takes the Word of God and supernaturally sends it to the “four corners of the earth.” Isaiah 11:12 Through the matrix of technology and social media (blog), the gospel goes “across” the globe. I won’t always see how God’s word goes forth. This is represented by the translucent words. The words vanished, representing that at the proper time, God will step in supernaturally to help me. When I don’t know what to write, I can expect divine intervention. When I need the words, they’ll be there. Going into the river with friends represents my responsibility and willingness to come alongside people and share the gospel. I, too, must take the things of God seriously. With God I can “ride the waves,” despite the challenges that surround me. Are you running towards God and into your calling or are you playing games, standing on a hill? I look back at this dream and recognize how God had already begun preparing me to become a writer. This was the first dream I had with words that came from a dream in the night. I hadn’t started a book when I had this dream and I definitely had no plans to become a blogger. Can you see how spectacular God is with this chain of events? God pushed me to write by speaking to me in a dream, which resulted in a book and now a blog on dreams. We never know what God is up to. Whatever God has called you to do, be obedient.